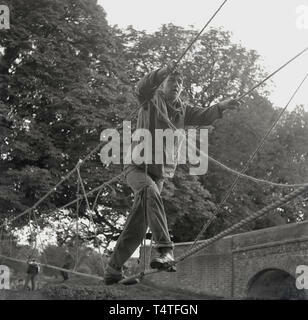 1960s, historical, a young adventure scout crosses a river on a rope bridge the scouts have recently made and tied to a tree on the riverbank, England, UK. 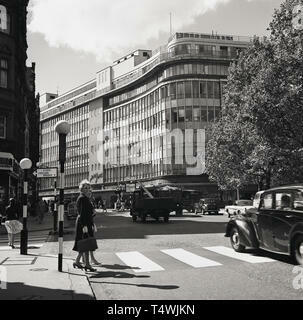 1960s, historical, two ladies walking across a level crossing at Sloane Square, London, with the department store, Peter Jones seen in the distance. 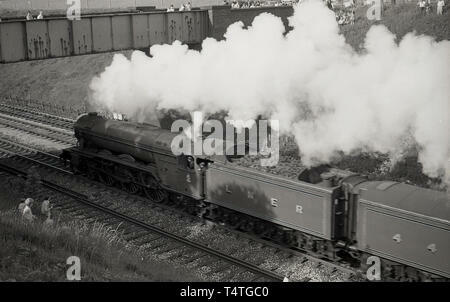 1969, historical, on the bride and grassbank, people watch as the iconic steam locomotive, The Flying Scotsman', goes past, England, UK. 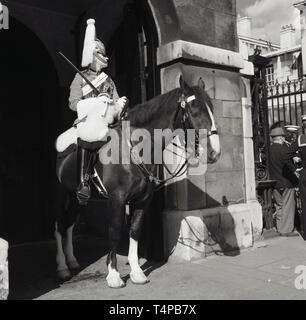 1960s, historical, London, view of the Victoria Palace Theatre, Victoria Street, featuring the show, 'The Black and White Minstrels', a long-running production that ran through the 60s until 1972. 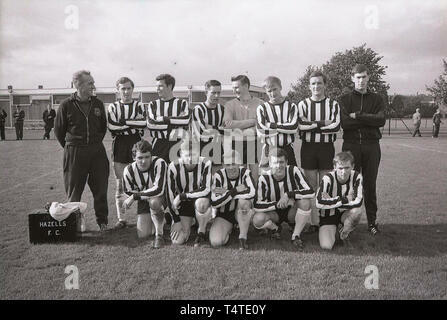 Behind the theatre which opened in 1911, in Bressenden Place, a massive 'modern' tower block, Portland House, a 'Brutalist' design which was completed in 1962 and was over 100m with 29 floors. 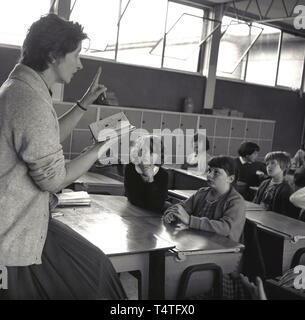 In the picuture can also be seen some famous names of the era, Watneys and J Lyons & Co.
1960s, historical, female teacher in classroom with book in her hand teaching the listening school children who are sitting at small wooden desks, England, UK. 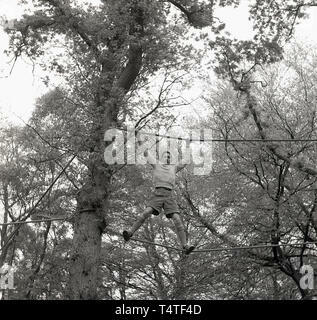 1960s, historical, a young adventure scout using his hands and legs on a rope to manouver himself across a clearing between two trees, England, UK. 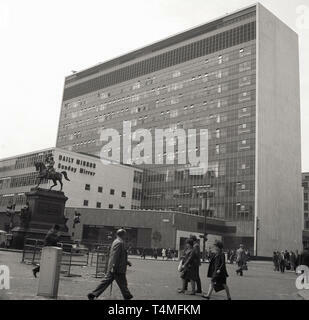 1960s, historical, cobbled forecourt and entrance to Charing Cross mainline railway Station on The Strand, London, England, UK. 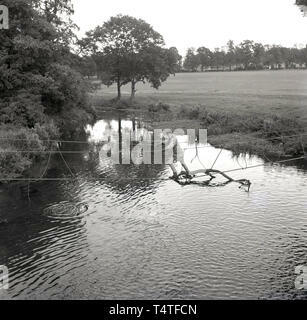 One can see the sign for the Strand Underground Station which was the name used for it at this time. 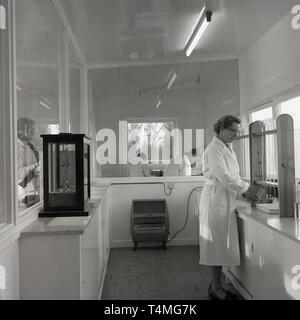 It was not until the late 70s that the underground station was remamed 'Charing Cross'. 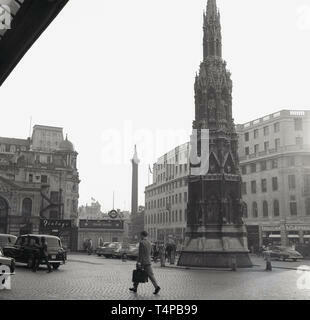 Seen on the right of the picture is the monument, the Eleanor Cross designed by E. M Barry and erected in 1864. 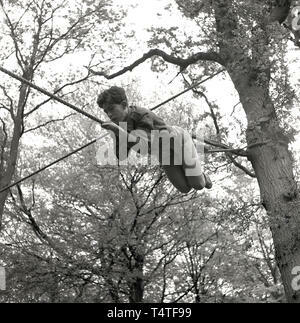 1960s, historical, an adventure scout standing high-up between two ropes attached to a tree in the forest, UK. 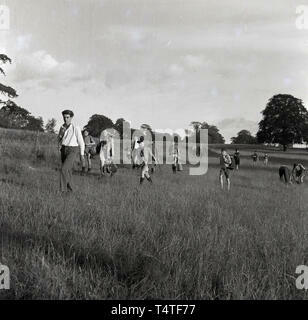 1960s, historical, sheep shearing, UK. 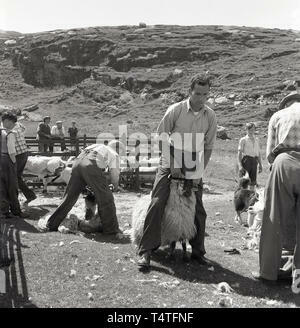 Farmer holding a ram by his horns. 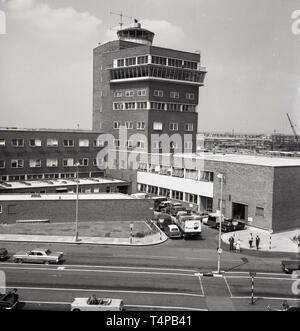 1960s, historical, Heathrow Airport, London, England, UK. 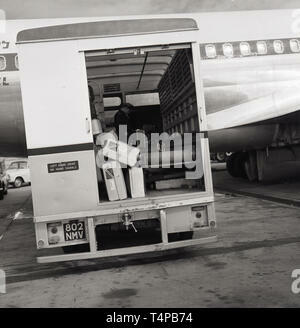 Luggage truck with internal conveyor belt on the runway. 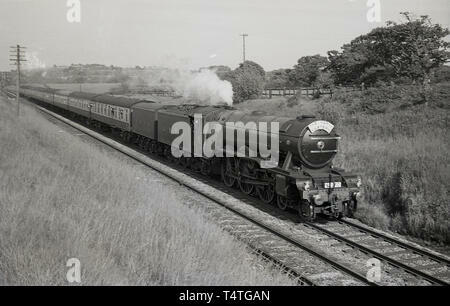 1969, historical, on the railway track, the iconic steam locomotive, The Flying Scotsman', england, UK. 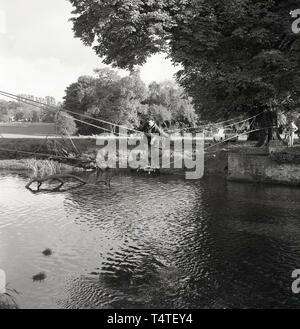 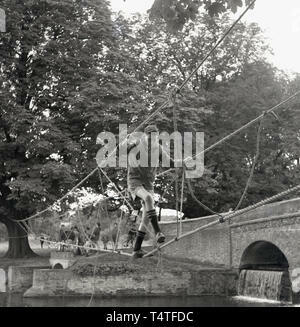 1960s, historical, a young adventure scout crosses a river on a rope bridge, England, UK. 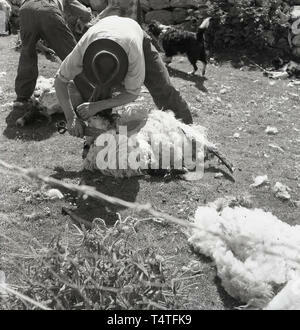 1960s, historical, sheep shearing, a farmer using a pair of scissors cuts the wool off a sheep, England, UK. 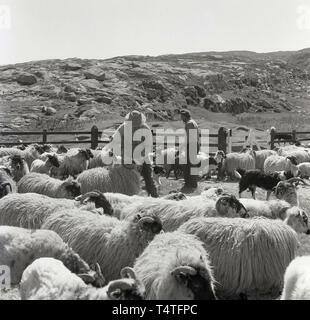 1960s, historical, sheep shearing, sheep gathered in an encosure before shearing. 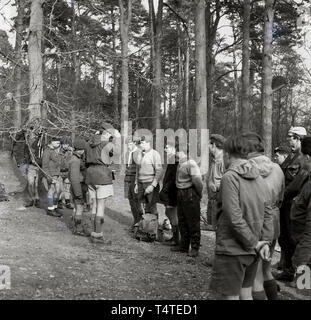 1960s, historical, scouts in the forest at an outdoor activity course, England, UK. 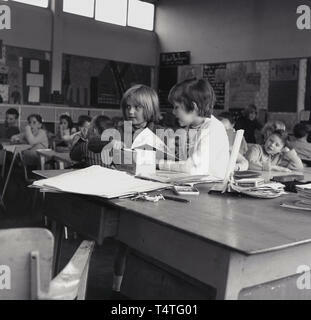 1960s, historical, young children in primary school classroom, England, UK. 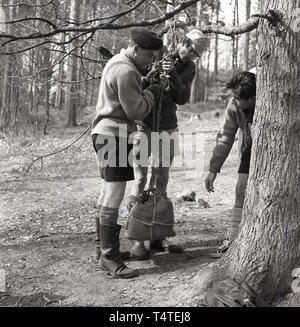 1960s, historical, adventure scout with a team leader in the forest at an outdoor activity course lifting a a stone filled sack tied to a tree branch, England, UK. 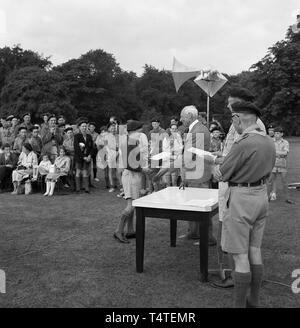 1960s, historical, a young male scout in his athletic shorts receiving a certificate infront of parents and other children. 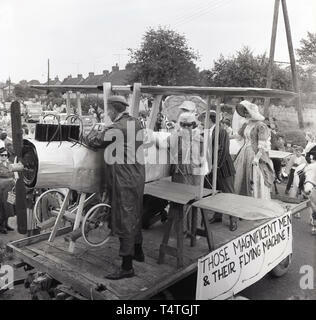 1960s, historical, people dressed up on a float, 'Those Magnificient Men and their Flying machines', at the Bierton festival or carnival, England, UK. 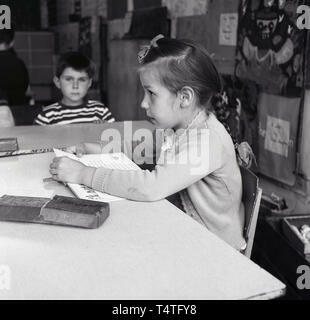 1960s, historical, young girl in a classroom, England, UK. 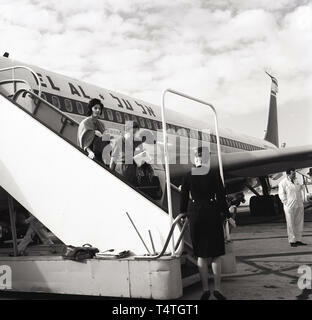 1960s, historical, an air stewardess waits at the bottom of the steps to see passengers depart from an El Al aircraft at Heathrow Airport, London, England, UK. 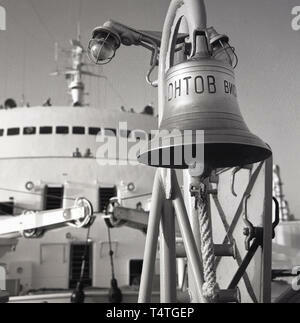 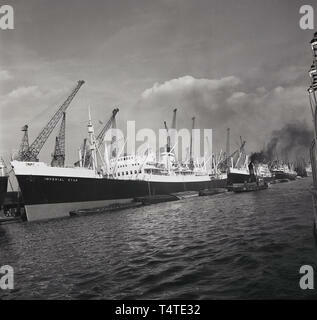 1960s, steamship, 'Imperial Star' moored at London Docks. 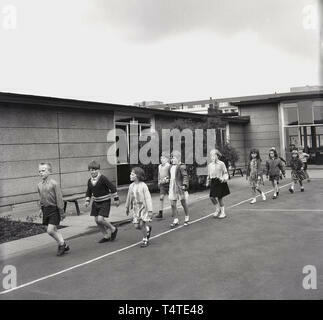 1960s, historical, primary school children walking around the perimeter of the school playground, England, UK. 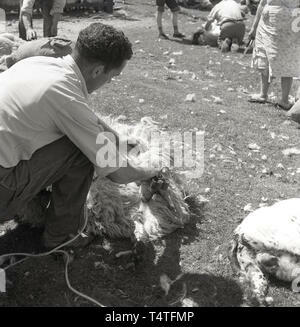 1960s, historical, sheep shearing, in an enclosure by a stone wall, a farmer using scissors clips the wool off a sheep, England, UK. 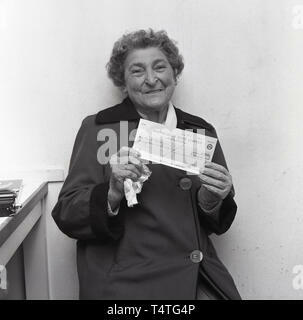 1967, historical, 'spot the ball', an elderly lady holds up a cheque of £25.00 presented to her for winning a local newspaper competition, England, UK. 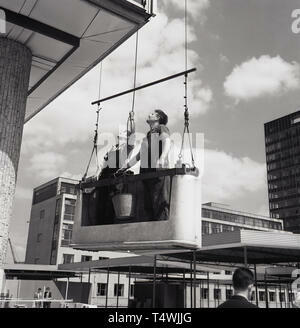 1960s, historical, two window cleaners standing in a concrete hoist, suspended from above, looking up at the tall office block they have to clean, London, England, UK. 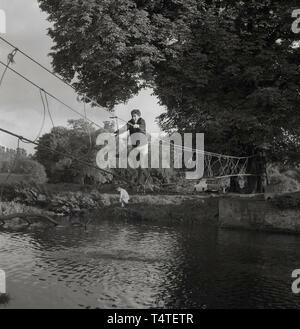 1960s, historical, a young adventure scout and team cross a river on a rope bridge tied to a tree on the riverbank, England, UK. 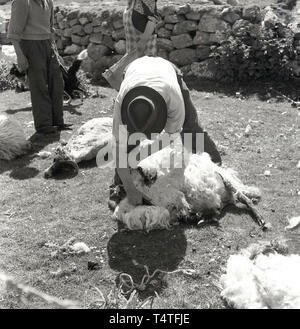 1960s, historical, sheep shearing, in an enclosure by a stone wall, a farmer using a large pair of scissors cutting the wool off a sheep, England, UK. 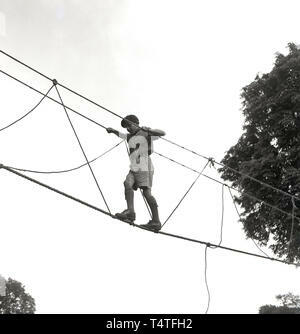 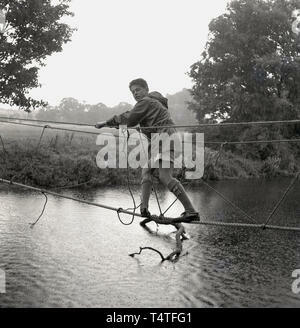 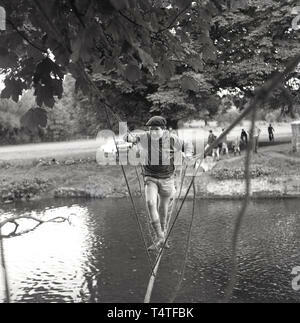 1960s, historical, a young adventure scout crossing a river on a rope bridge, England, UK. 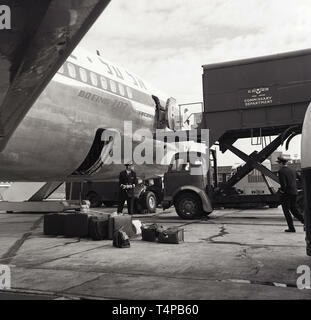 1960s, historical, Heathrow Airport, London, England, UK. 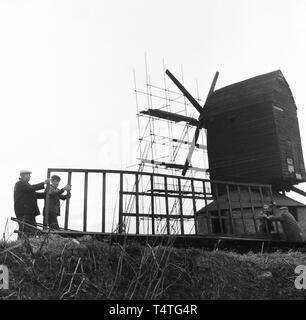 1960s, historical, repairs to the Windmill at Brill, workmen moving one of the original wooden sails. 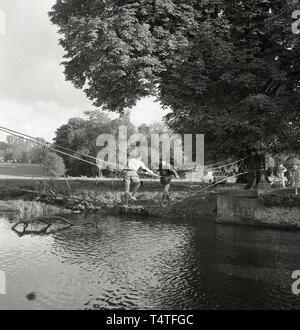 1960s, historical, a young adventure scout and team cross a river on a rope bridge the scouts have recently made and tied to a tree on the riverbank, England, UK. 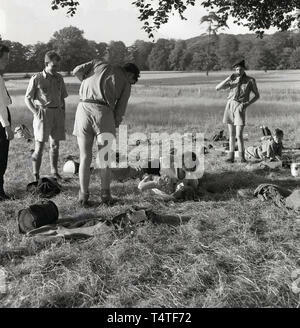 1960s, historical, packing up after scout camp and saying goodbye to a new friend! 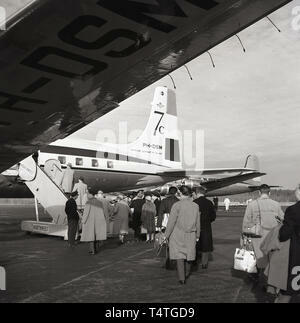 1960s, historical, passengers boarding a KLM Royal Dutch Airlines Douglas 7C plane at Alaska airport . 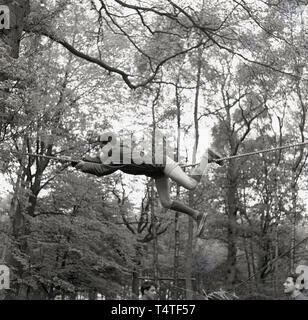 As can be seen, in this era the the wording 'Koninkluke Luchtvaart Mu. 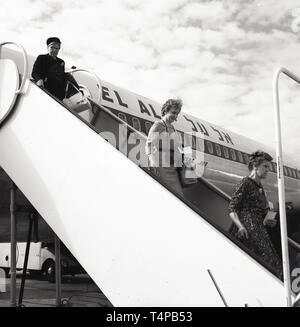 Holland' was on the aircraft. 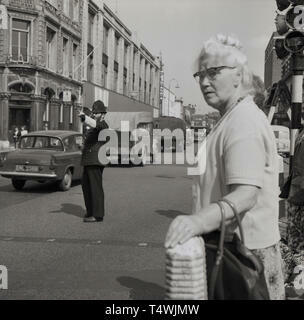 1960s, historical, British policeman directing the trafffic in a busy London street, with pedestrians waiting to cross the road. 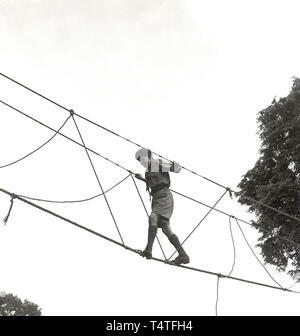 1960s, historical, a young adventure scout and team crossing a river on a rope bridge the scouts have tied to a tree on the riverbank, England, UK. 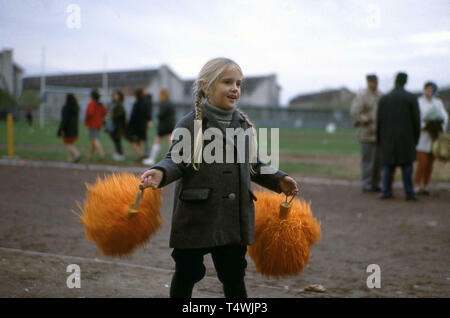 1960s, historical, USA, little girl holding a pair of colourful, orange 'pom-poms' outside on the track of a sports ground. 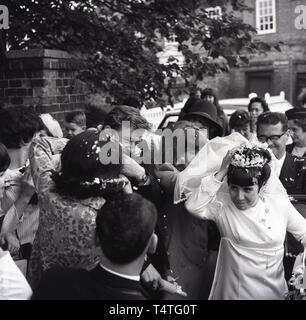 Pom-Poms are used by 'cheerleaders', groups of girls who support or 'cheer' for their team, most commonly in American football team to entertain the spectators and to add sparkle to the event. 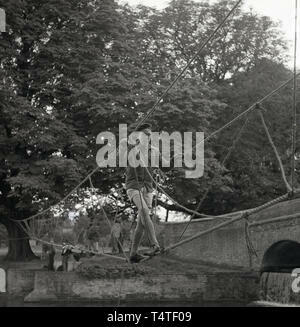 1960s, historical, View of March Arch, Park Lane, London, from this era. 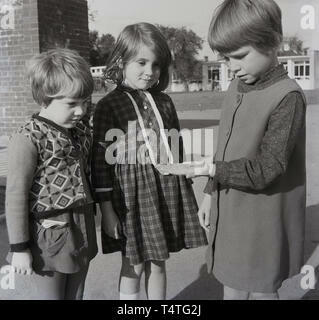 1960s, historical, little girl showing her friends her sixpence, England, UK. 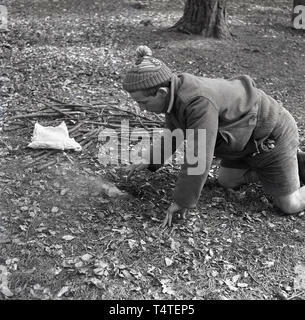 1960s, historical, a male adventure scout on his knees in a clearing in the forest getting the camp fire going, England, UK. 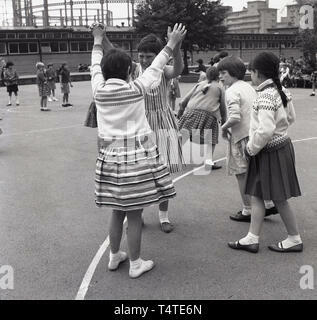 1960s, historical, Vauxhall, South London, school girls playing together outside in the playground, London, England, UK. 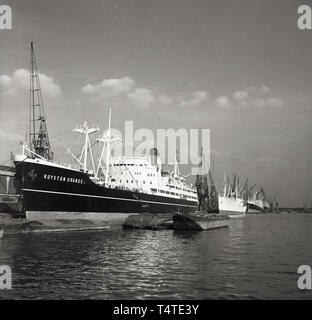 1960s, steam cruise ship, 'Royston Grange' moored at London Docks. 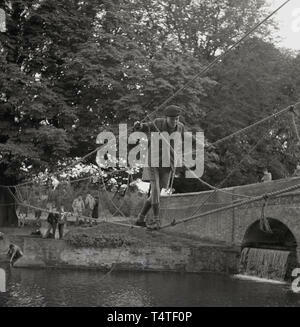 1960s, historical, scouting, a team leader standing on the 'rope bridge' instructs a young adventure scout on how to cross, England, UK. 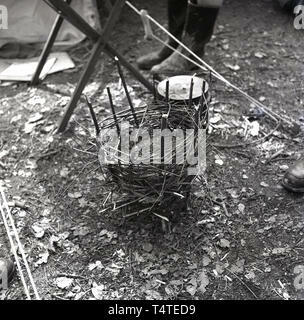 1960s, historical, scout camp, wicker basket ready for burning for the camp fire, England, UK. 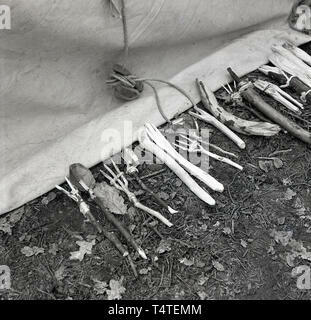 1960s, historical, hand-made wooden cutlery - spoons and forks made from twigs - made by adventure scouts laid outside a tent. 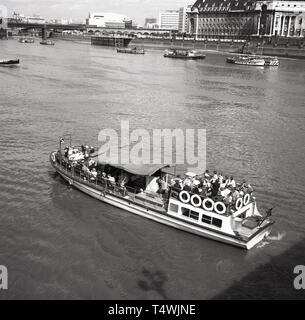 1960s, historical, busy tourist board leaving westminster pier to go down the Thames. 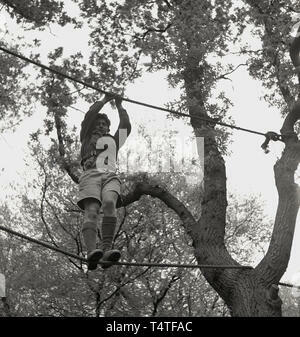 The office building of the LLC - and later the GCC - can be seen opposite. 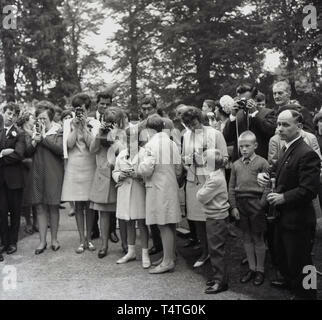 1960s, historical, guests at a wedding taking pictures with film cameras of the era, England, UK. 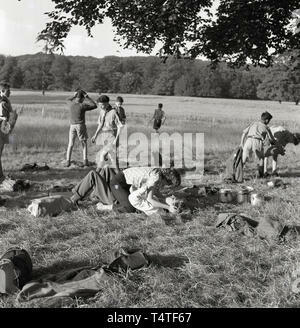 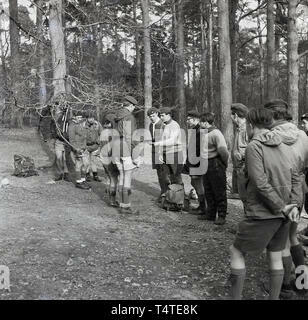 1960s, historical, checking the compass, scouts with leaders in the forest at an outdoor activity course, England, UK. 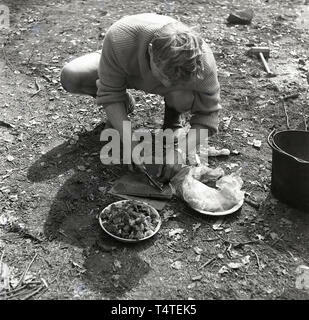 1960s, historical, adventure scout in the forest at an outdoor activity course perparing food - strips of meat for a stew?, England, UK. 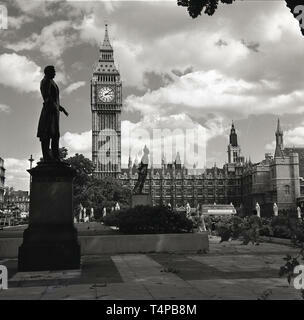 1960s, historical, View of the Elizabeth or Clock Tower ( Big Ben) and the Palace of Westminster, home of the UK Parliament seen from across Parliament Square, where twelve statues reside. 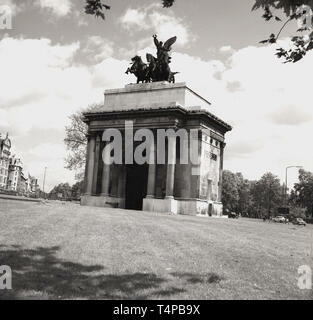 On the left seen here is the statue dedicated to Henry John Temple, 3rd Viscount Palmerston, twice a British Prime Minister. 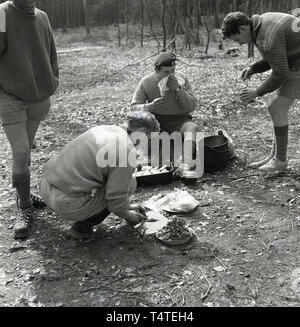 1960s, historical, adventure scouts in the forest at an outdoor activity course perparing food - strips of meat for a stew?, England, UK. 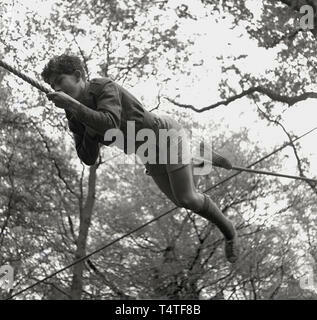 1960s, historical, an adventure scout wearing shorts and a woolley jumper using his hands and legs on a rope to manouver himself across a gap between two trees, England, UK. 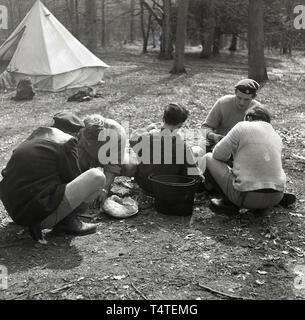 1960s, historical, scouts with leaders in the forest at an outdoor activity course perparing food for cooking, England, UK. 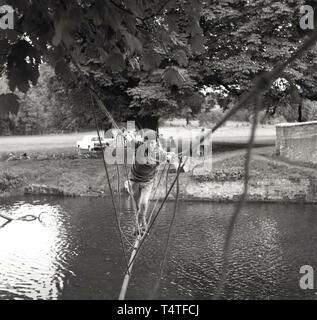 1960s, historical, a young adventure scout crosses a river on a rope bridge, tied to a tree on the riverbank, England, UK. 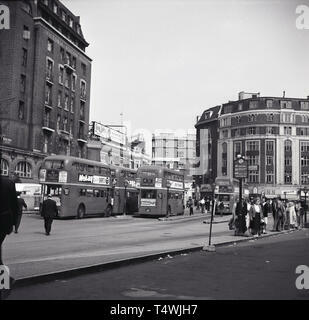 1960s, historical, London routemaster or doubledecker buses parked outside Victoria train station, Victoria, London, England. 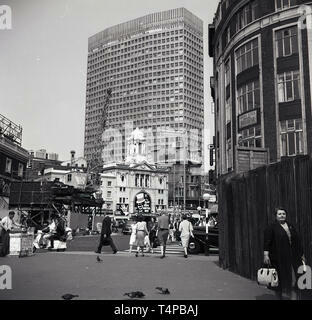 The tall building seen in the picture is Victoria Station House. 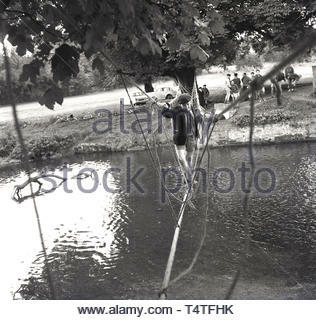 1960s, historical, rain pours down as a young adventure scout crosses a river on a rope bridge the scouts have recently made and tied to a tree on the riverbank, England, UK. 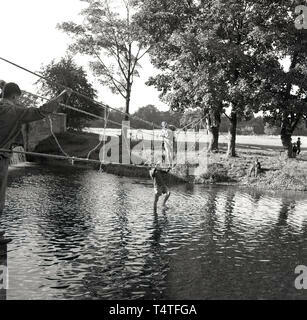 1960s, historical, scouting, a team leader standing in a river instructs a young adventure scout on how to cross using the 'rope bridge', England, UK. 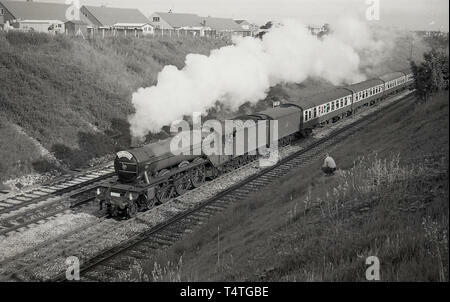 1969, historical, a man sitting on a grassbank by the railway track, watches as the iconic steam locomotive, The Flying Scotsman', goes past. 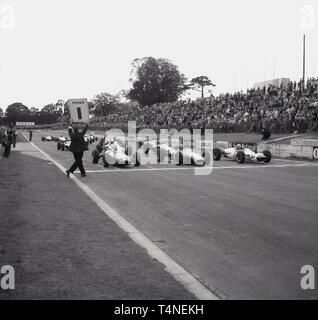 1960s, historical, motor racing at Crystal Palace race circuit in South London, London, England, UK, drivers and cars on the track position on the start grid with a race official holding up a sign saying 1 min until the start of the race. 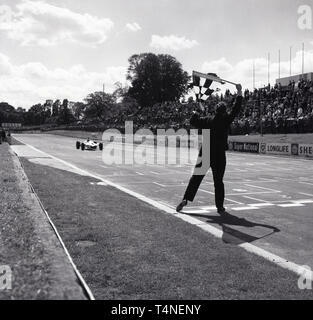 1960s, historical, motor racing at Crystal Palace race circuit in South London, London, England, UK, race official by the finishing line of the track with the chequered flag raised as a car comes down the finishing straight. 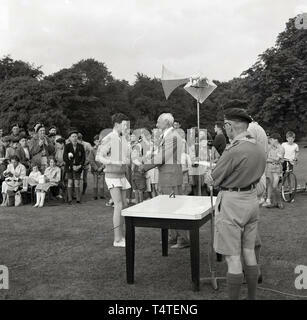 1960s, Stoke Mandeville Hostpital, nurse receiving an award. 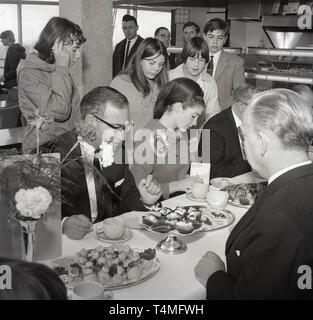 1967, historical, promotional, Miss United Kingdom 1967 signing authographs for the staff in a company canteen whilst having tea and cakes with the directors of the Energen Company, England, UK. 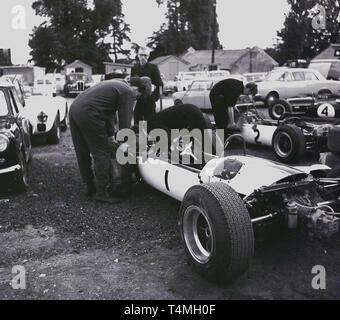 1960s, historical, motor racing at Crystal Palace race circuit in South London, London, England, UK. 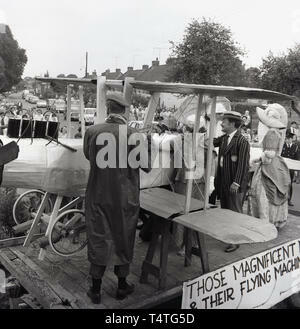 Cars parked on the grass by delivery trucks, one sponsored by Radio London. 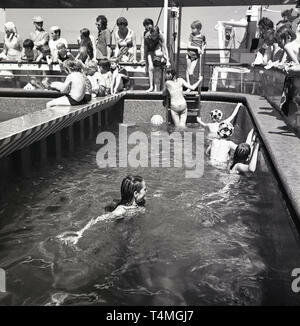 1960s, youngsters playing in the childrens section of the ship's open-air swimming pool. 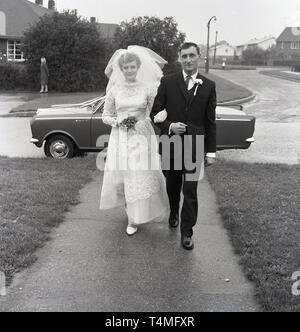 1960s, historical, father walking with bride, having recently arrived in the bridal car, a small vauxhall, England, UK. 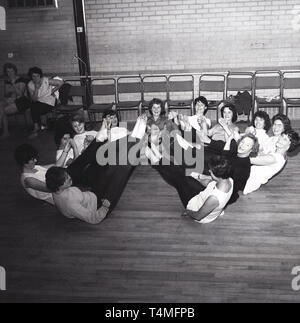 1960s, historical, a group of happy ladies in their leggings on the floor doing a yoga or keep fit class at the local sports hall. 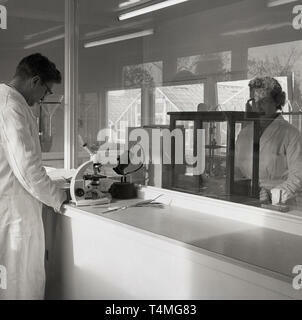 Two ladies sitting watching the proceedings do not appear keen as they smoke a cigarette. 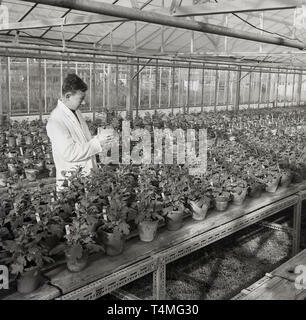 1950s, historical, market gardner or worker in a nursery checking a planted pot in a greenhouse, England, UK. 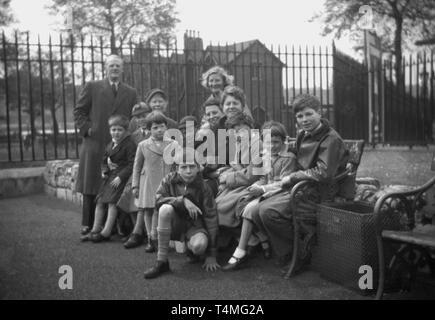 1950s, historical, large family waiting to board the ship, SS Orate, to start a new live overseas in Australia. 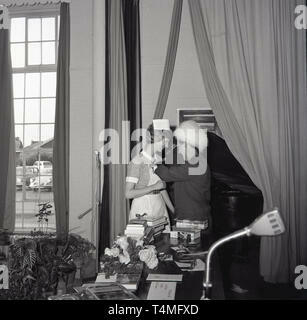 1960s, historical, modern office block, Headquarters of the newspapers 'The Daily Mirror and 'Sunday Mirror', London, England, UK. 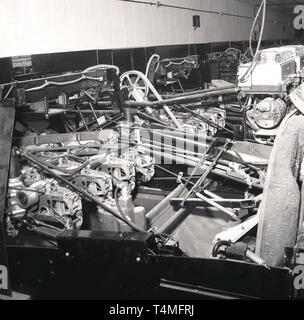 1960s, historical, machinery at a ten-pin bowling alley, USA. 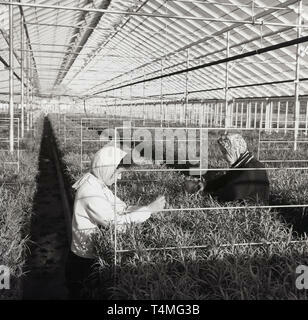 1950s, historical, female workers with headscarfs in a garden nursery checking plants in a large greenhouse, England, UK. 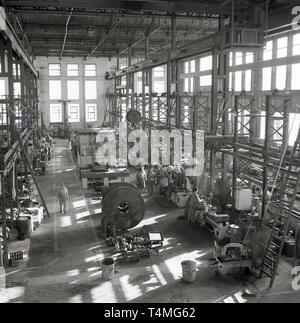 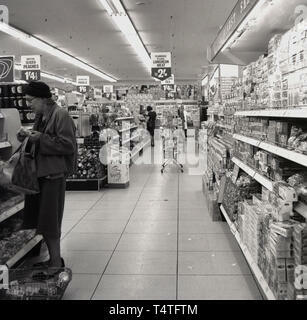 1950s, historical, view inside a high ceiling factory building, England, UK. 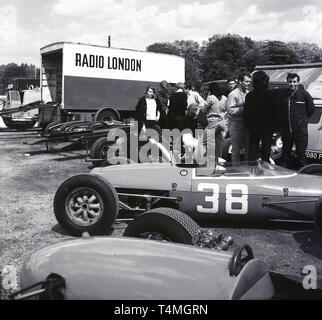 1960s, historical, motor racing at Crystal Palace race circuit in South London, London, England, UK. 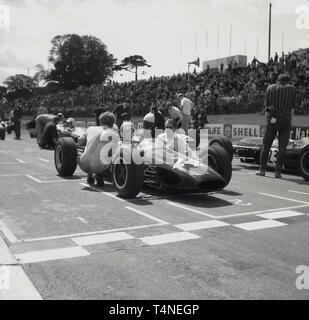 Drivers in their cars lined up on the track in the start grid with their team principals and mechanics beside them. 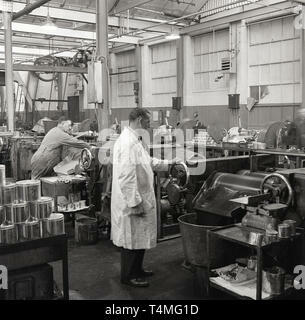 1950s, historical, paint factory, England, UK. 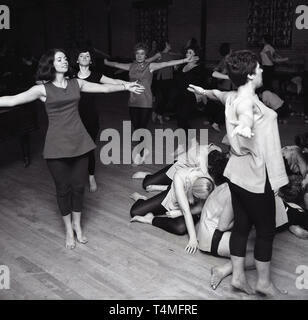 1960s, historical, ladies in leggings doing a morning activity or keep fit class at the local sports hall. 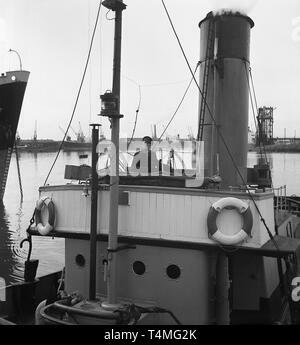 1950s, historical, steamboat tug, skipper manvouring his boat into the harbour. 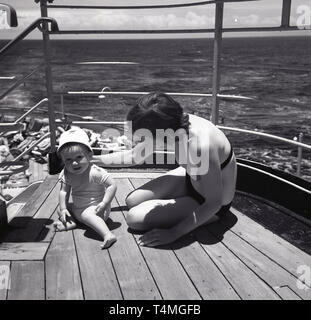 1960s, cruise, mother on a ship with young baby. 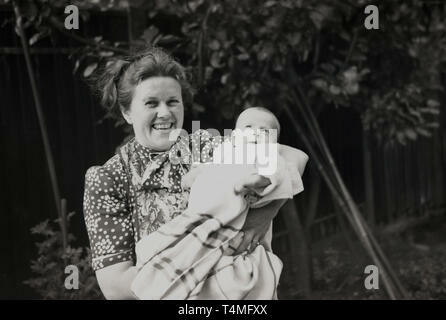 1930s, happy lady in spotted dress holding her baby.